Yoel Romero confirmed his status as one of the world’s scariest middleweights on Saturday when he destroyed Luke Rockhold with an overhand right in round three of their UFC 221 main event. The Cuban, who missed weight so couldn’t win the interim belt which was at stake, dizzied his rival with a vicious punch over the top and finished up with an uppercut that bounced Rockhold’s lolling head off the fence. As such, if “Soldier of God” can safely make 185lbs – keep in mind he took this bout on short notice when the full champ, Robert Whittaker, pulled out with a staph infection – he looks set to earn a shot at revenge over his former conqueror Whittaker. The 40-year-old is on a tear and his track record includes knockouts over Chris Weidman, Lyoto Machida and of course Rockhold – all former UFC titlists. Although they almost clashed at the previous day’s weigh-in, the pair started cagily, with neither fighter willing to show their cards. Speedy leg kicks and jabs were the order of the day, with Rockhold arguably winning the first session on activity. 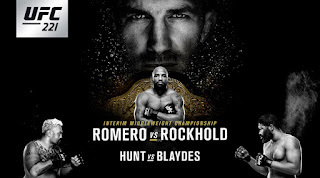 But Romero was the first man to take the initiative in round two and he bundled forward and hurled windmilling hooks at Rockhold’s unguarded jaw. Luke was stunned. His chin was in grave danger. Romero even attacked with his patented flying knee but Rockhold managed to wheel away for the remainder of the round and get back to his jab. The stocky Romero doubled up his jab in the third and as Rockhold continued to play poker and counter-punch, there was a feeling that Romero could grasp a stoppage at any given moment. That moment came as a sickening Romero counter crashed against the side of Rockhold’s head. The American pitched forward, his legs defying him as if the mat were pulled up from beneath him. Groggily, he sat up in no man’s land with his hands by his side, and absorbed a heinous shovel-hook to the mouth. 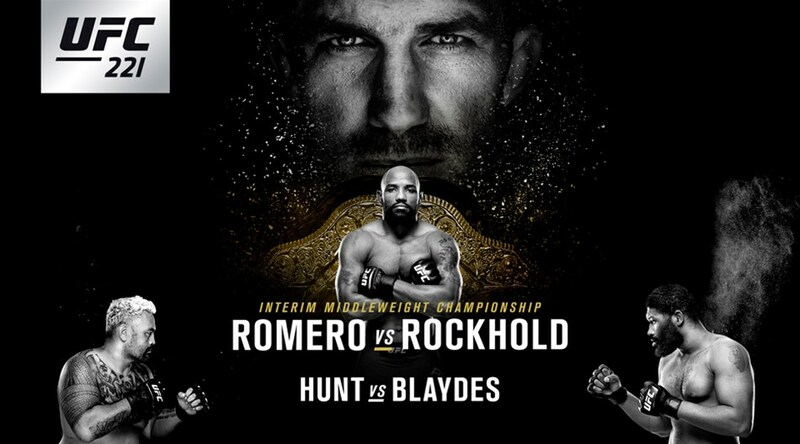 With a second stoppage defeat in his last three, Rockhold retreats to the back of the queue for a shot at Whittaker, but Romero may well get his redemption date if stays in the weight class. In the heavyweight co-main event, Chicago’s Curtis Blaydes gave the Perth crowd a rough deal by controlling Mark Hunt for a decision by measures of 30-26 (twice) and 29-27. Although the American was rocked by a counter right in the first round, he shook off the cobwebs and ended that session in half guard, biding his time on top and staying active enough to remain there. Owing to his fantastic trips, judo prowess and top pressure, Blaydes dominated the rest of the match on the ground. 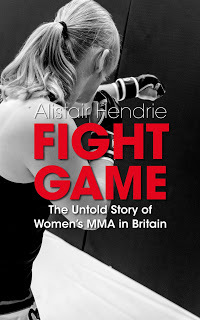 In the second, he opened up further from half guard, nailing his target with elbows, forearm drives and looping punches. In the third, by which time Hunt was exhausted, Blaydes began the frame by driving “Super Somoan” backwards and into the air, slamming him unceremoniously to the mat. If Hunt wasn’t so dangerous on the feet, perhaps Blaydes would have let his punches go a little more once he achieved full mount. Unsurprisingly, the Perth crowd booed the visitor when his hand was raised. Blaydes is somewhat of a rough diamond - a tactically astute fighter with plenty of athletic advantages, but still a raw prospect who can be tagged. That said, unlike Blaydes, not many heavyweights would see the final bell against both Hunt and Francis Ngannou. Hunt’s heavyweight sparring partner, Tai Tuivasa, earned his second UFC win – and extended his undefeated ledger to 7-0 – with a conclusive knockout in round one over French prospect Cyril Asker. Displaying the cardio and output of a lightweight, Tuivasa teed off with uppercuts, punches to the body and, most impressively, step-in elbows that pinged Asker’s head back. Credit to him, Tuivasa displayed methodical pressure and always took a step back after landing his combinations. Although Asker stood manfully throughout the onslaught, he eventually dropped face-first to the mat, unable to take anymore, and referee Steve Percival wisely jumped in before Tuivasa could capitalise. Elsewhere on the main card, Aussie welterweight Jake Matthews saw out a 29-28 and 30-26 (twice) success over China’s Li Jingliang. The 23-year-old had the better of round one and ended the opener working for a rear naked choke, chipping away around Jingliang’s defences. He came even closer in the second with a guillotine choke from the bottom, although referee Mark Simpson should have penalised Jingliang for to escape the submission. Nevertheless, Matthews controlled the closing stages and timed his counters beautifully, even hitting the mark with a flying knee up the middle for good measure. Australian 205lbs-er Tyson Pedro ushered in the main card, displaying nous and skill in the clinch to sweep Saparbek Safarov for a kimura in round one. After scoring with knees of the break and power punches in the exchanges, Pedro defended a takedown against the fence by clamping on a kimura grip and forcing his Russian adversary to roll over in his favour. Now in top position, Pedro expertly stepped over Safarov’s head to isolate the arm and apply torque to the shoulder. The tap came immediately and with the 205lbs division wide open, Pedro can now shoot for a top 10 opponent. FS1 Prelims were headlined by lightweight Dong Hyun Kim’s workmanlike decision over Damien Brown by scorecards of 29-28 (twice) and 28-29 in the other direction. The Korean refused to enter the trenches with the notoriously aggressive Brown, and Kim plugged away with calf kicks, head kicks and jabs. His speed made the difference here, but Damien will be gutted that he didn’t force his rival brawl against his terms. New South Wales featherweight Alexander Volkanovski boosted his reputation by smashing Jeremy Kennedy in the second round. After countering Kennedy’s punches with the takedown, Volkanovski took his man into a world of pain from half guard, showing beautiful frames and strong posture to land punch after punch. Kennedy turtled up and invited Volkanovski to end it, and Marc Goddard signalled the TKO with 12 seconds of the round remaining. In the remaining FS1 Prelims, flyweight Jussier Formiga took out Ben Nguyen in round three with a rear naked choke, and middleweight Israel Adesanya mixed his strikes from head to body for a second round TKO over Rob Wilkinson. There was British interest on Fight Pass Prelims, too, as lightweight trailblazer Ross Person edged out Mizuto Hirota by verdicts of 30-27 (twice) and 29-28. Pearson, now based in Sydney, fought with intelligence and precision as he racked up the points with low kicks, jabs and counter hooks to the body. Meanwhile, the earliest segment of the show also featured Luke Jumeau’s landslide over Daichi Abe (29-28 and 29-27 (twice) at welterweight, and Jose Alberto Quinonez’s verdict over Teruto Ishihara (30-27 and 29-28(twice)) at bantamweight. For more UFC reaction and reportage, read Alistair Hendrie Sport's write-up of Stipe Miocic's historic victory over Francis Ngannou at UFC 220.